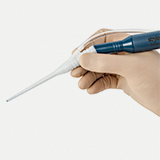 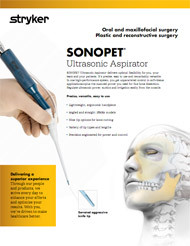 SONOPET Ultrasonic Aspirator masters fine bone and hard tissue dissection by coupling longitudinal vibration with torsional oscillation. 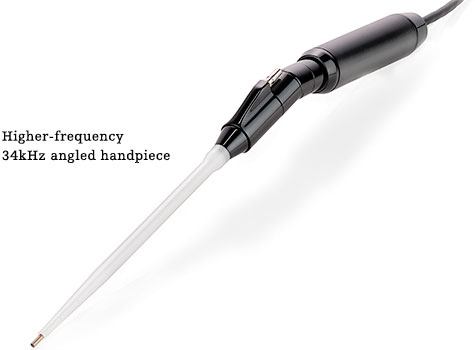 This patented innovation and ergonomic design let you emulsify bone with a high level of precision. 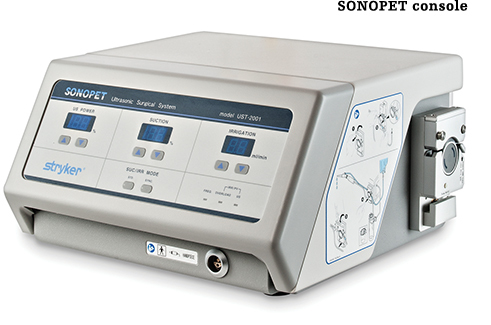 Because calcified and rigid structures don’t absorb ultrasonic oscillation, the SONOPET system cuts bone cells smoothly and efficiently. 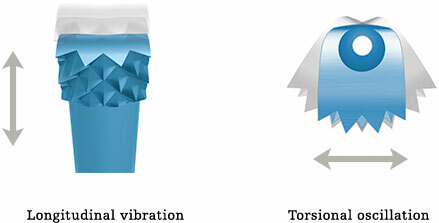 Underlying soft tissue vibrates with oscillation, moves away from the vibrating tip and remains largely unaffected. 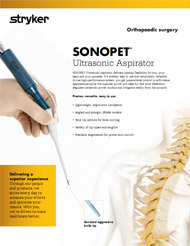 Our bone tips gives you a high degree of control with minimal pressure. 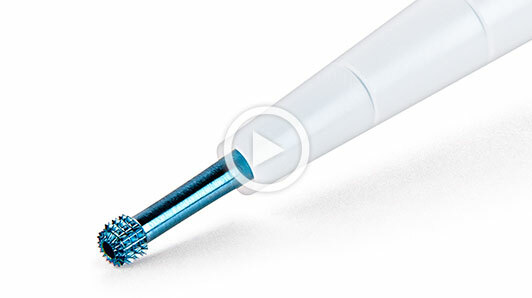 Helical reliefs machined into the shaft of the tip redirect the ultrasonic pulse from a purely longitudinal to longitudinal/torsional excursion. 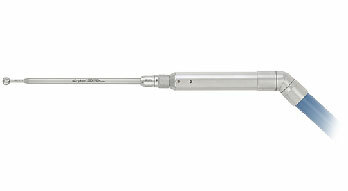 Our superlong lengths give you access to deeper structures and are especially useful in applications that require minimally invasive approaches. 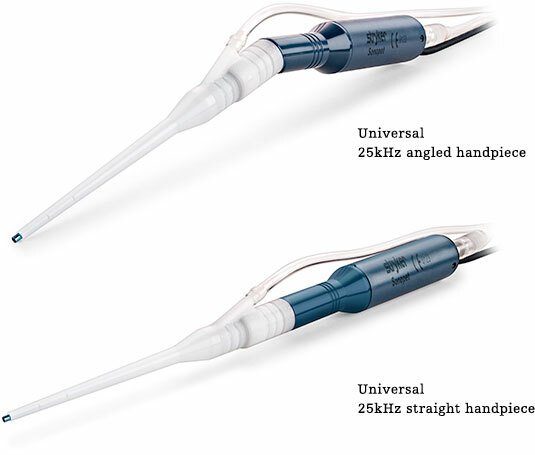 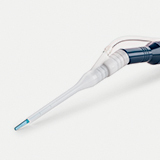 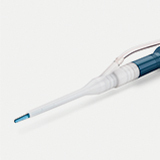 Designed for delicate tissue removal in superficial lesions, our 34kHz angled handpiece gives you enhanced tactile feedback and more nuanced control. 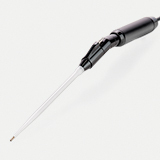 Higher frequency results in lower amplitude—the distance the tip moves along its length. 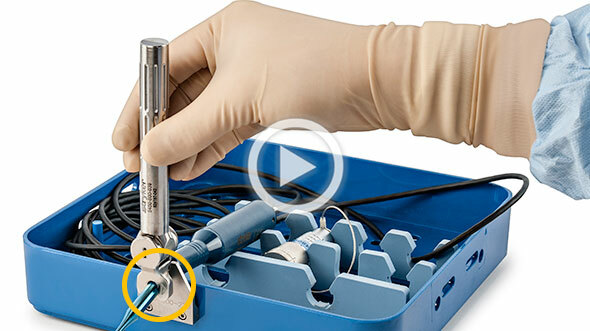 Because lower amplitude delivers more selectivity and precision, this high-performance handpiece is ideal for work near critical structures and motor centers. 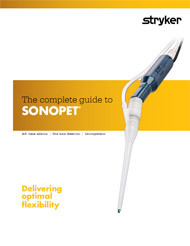 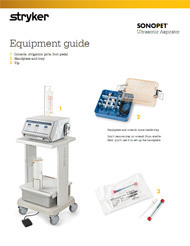 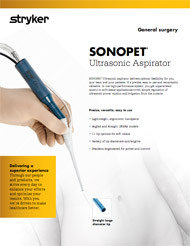 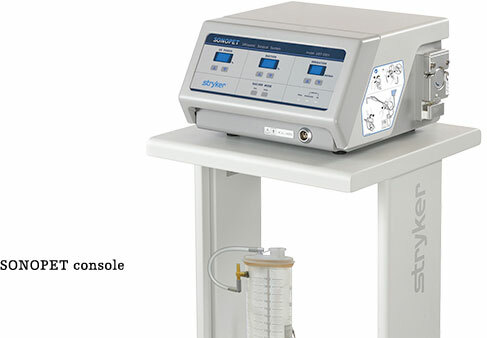 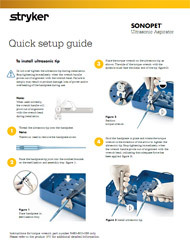 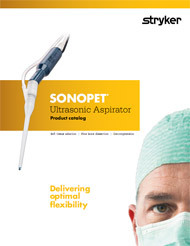 When seconds matter, the efficiency and ease of the SONOPET system shine through. 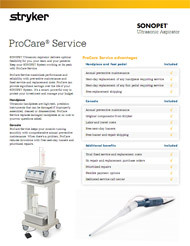 Because setup is quick and simple, you and your team can focus on what matters most—your patient.